3M™ Novec™ 1702 Electronic Grade Coating is a lower solids version of Novec™ 1700. It is a clear, low viscosity, low surface tension solution of a 0.2 wt% fluorochemical acrylic polymer carried in a hydrofluoroether solvent. 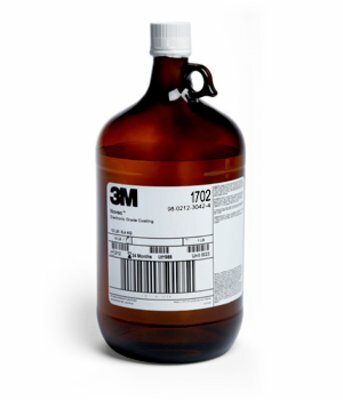 3M™Novec™ 1702 Electronic Grade Coating is designed for moisture and corrosion protection of printed circuit boards and electronic components, it is a clear, low viscosity, low surface tension solution of a 0.2 wt% fluorochemical acrylic polymer carried in a hydrofluoroether solvent. The coating dries to a thin, transparent, film with excellent hydrophobic and oleophobic properties. It repels oils, water, silicones and photoresist solutions. The coating is easy to apply (dip, spray or syringe dispensing), air-dries in seconds, requires little or no masking and is removable and repairable.